I have been playing a bit with Image2Docker with the intention to see how far I could go into containerizing existing workloads. To date, this PowerShell-based module by fellow MVP and Docker Captain Trevor Sullivan mounts a vhdx or wim Windows Image and tries to discover running artifacts, such as IIS, SQL or Apache, and generates a Dockerfile for a container hosting these services. Now this is still experimental, and the list of accepted artifacts is still short, but I couldn't retain myself from trying to build a Docker container for the job. Here's how I tackled this, knowing that as most of us, I am moving my first steps into this new feature of Windows 2016. In the step above I am issuing the build command from the folder containing the Dockerfile file, and I am setting two tags for the same image: latest and v0.1. In the step above the latest tag is passed to v0.2 and the previous image retains only the tag v0.1. 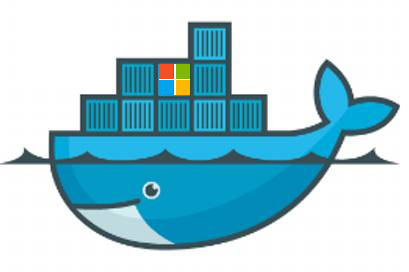 and get the Dockerfile for your Windows image created for you. Let me know how it goes and remember that this project is open source so everybody's contribution is accepted. QRP weekend - This weekend has been 2/3 good for radio.